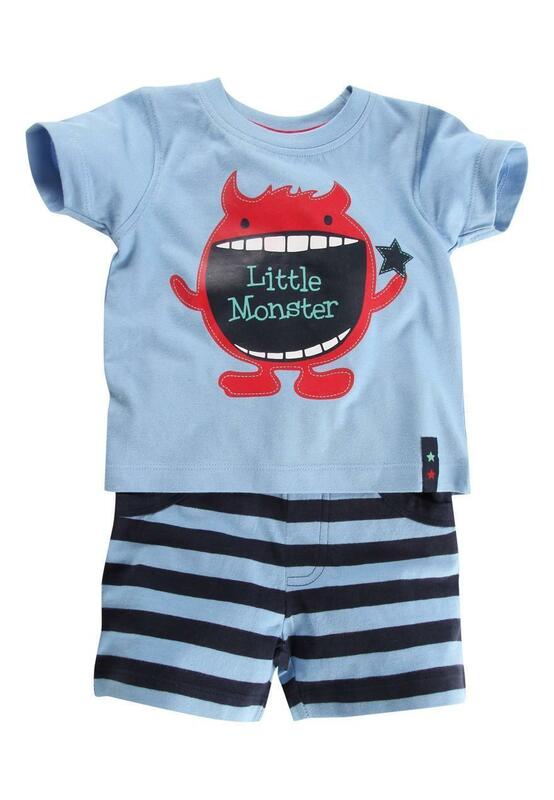 Keep your little monster looking cool this summer in our t-shirt and short set. Featuring fun stripey shorts and tee with monster print. Just add sandals and a sun hat for the perfect holiday outfit!